Libraries across the country take a wide range of approaches to their social media presence(s). According to Techsoup, most libraries spent less than five hours weekly to support their social media presence.1 Before launching into the social media maze or going further down the path, take a little time to discuss with relevant library staff the five Ws: Who, What, Where, When, and Why. Creating a clear path for your social media efforts is time well spent. To start, be sure policies about staff participation, patron confidentiality, and acceptable use are clearly defined. Libraries are public entities, so the law defines much of what is required. Be sure staff are trained in handling patron information, including photos, within the bounds of data privacy. Copyright applies to online content as well, so sharing information on a library platform needs to respect this boundary also. 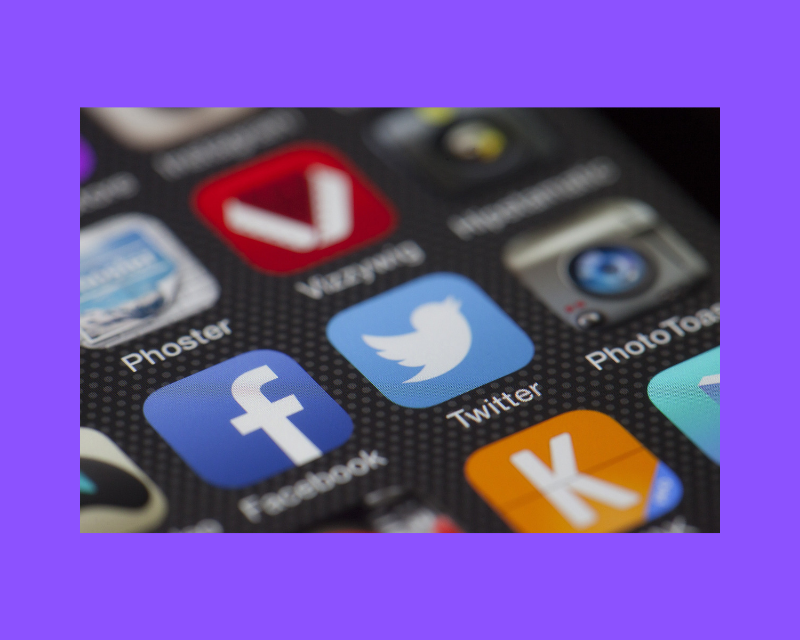 The American Library Association offers guidance on social media policy considerations. Who will monitor accounts and how often? How often will each person post — what is the schedule? How will posting be handled when someone is off work? David Lee King, Digital Services Director at Topeka & Shawnee County Library, has established these guidelines for staff who manage social media. One rule of thumb, consult the employee handbook for guidance. Also be clear about who can create content or add a platform. Look through best practices and think about how best to set up the accounts to get the best results. For example, creating a library administration account email can help keep a bright line between work and personal social media use. Notifications for the library pages will only go to the library account. Also keep in mind requirements for identification – be clear when sharing information on a personal account about your link to the library. Are you hoping to increase program attendance? Or bring more people to the library? Or advocate for library issues? Think about and set goals for what your library’s social media platform will do. Do you want to pay Facebook to promote posts? If so, have you thought through the privacy implications of using this function? Have you defined what is unacceptable behavior online? How and when will the library have the right to remove content on its platforms? Will you accept advertisements on your page? Many libraries use their platforms for event promotion. This can be done through normal posting or through special platform functions, such as Facebook Events. There are pros and cons to using these types of features, so watch metrics to see what works more effectively for your library. Some libraries are going beyond event promotion on social media. Many libraries are using hashtags like #bookfacefriday. NYPL took its social media presence to the next level last year with its #InstaNovels hashtag as well as its Black Friday promotion. Whatever platforms your library uses, communities of practice abound online. On Facebook, groups such as the Libraries and Social Media Group provide places to share questions and ideas with other librarians. A recent article in American Libraries, Snapchat in the Library, featured libraries on that platform. Follow other libraries on your platform of choice to gain insights and ideas for posts. Follow other libraries on your platform of choice to gain insights and ideas for posts. Probably the most important question to answer is why do this, why has a social media presence? A clear purpose is vital to social media success. Are you aiming to communicate with patrons, promote library activities, or enhance patron service? Every library is unique – a reflection of its community. Social media pages for libraries are equally varied. Voice is important. Sound too stodgy and people will tune you out. Come across with too much jargon and people will tune you out. Do you want to be professional and approachable? Or funny and whimsical? Your voice will hape the types of content your library posts. The two challenges most cited by libraries in the TechSoup study were growing audience and follower and administration, staffing, and time. Take time to set up your social media presence and you will decrease these challenges for your library. Defining clear purpose and strategies for social media can help yield tangible results from social media. Do you know of other great social media resources? Share them in the comments below!